Keuchel's pros are that he is pretty good and he's lefthanded. His cons are his age, his raw stuff and the comp. pick. I don't think I would even want to give him four guaranteed years now, unless I knew Arrieta was going to opt out (or renegotiate his deal now). It would be worth it to me to trade for someone instead, or to take a theoretically lesser FA like Gio on a much shorter/cheaper deal. I would like Keuchel more if the Phils had Atlanta’s infield defense. I agree- I’m of the mindset that Keuchel only makes sense if they sign Machado. Not disagreeing on the concept of pairing a good ground ball pitcher with a good defense. It is the age and years that bother me currently with Keuchel. If we add a lefty he should be younger OR on a shorter term deal. Defensively we are now at least average at SS and 2B. 3B needs improvement but it really seems that Franco is likely on the move regardless of Machado. I could see us dealing Franco for prospects and signing Moustakas for 2 years if the Machado talks fall through. At that point our infield defense would be average around the horn, so good enough to have some non-strikeout pitchers. And Kingery might be an improvement on Cesar at 2B if that switch ever happens. I'm probably an outlier here but on top of giving out a costly contract, I don't want to forfeit a draft pick in order to sign any FA pitchers. The system needs as many top rated prospects as it can get. Giving up such a choice in order to sign an older player who has given a team his best years already doesn't make sense to me. As for lefties, the Phillies have some in the system that might be on the cusp of becoming starters in Irvin, Suarez and Romero. Now signing a FA and not losing a DC, is fine; sign Britton. If they were to add both Moustakis & Pollock they could create a solid offensive lineup. But I want to see them sign both Robertson & Britton to join with SD & Neris to create a real solid lock down bullpen for the 7-9 innings. Use Armani with either Hunter or Nicasio & 2 lefties (Alvarez & Morgan ???) to cover the 5-6 innings and u would have a deep, strong bullpen that could support a 5 inning starting pitcher group like we have. I would get Robertson & Britton before I would give Keuchel Big bucks 4-5 year contract. That should b Arano as part of the middle relievers. This team doesn't have middle or late-inning relievers. The Phillies don't have room to sign two more relievers though. As it is they are probably going to have to trade or waive someone (though I notice you didn't mention Neshek). If you have Britton, Seranthony, and a consistent Neris, then Hunter and Neshek (or Hunter and a rebounding Nicasio) are plenty good enough for medium-leverage or middle innings (as is Arano, yes). Ramos is still going to be useful too. Lest we forget, on the SP front, Kikuchi is still out there, and the Boston Globe says we're still sniffing after Robbie Ray. But not for long, his window closes on Jan 3rd. I’m thinking that he is holding up the pitching market until he signs with someone. He sounds quite analytical and very bright. The pitching market has moved pretty well, 3 of MLBTR's five starters are off the board (and Kikuchi is one of the five). But he certainly could open something up for Keuchel, or the consolation prizes. Perhaps the Phillies feel they have a strong financial offer for him, thus the conservative approach to Corbin and Happ (and Keuchel though every team is doing the same for now). I am kind of OK with not giving Keuchel a 5-year deal. Corbin was younger and better last year. Keuchel would be good on a deal like Arrieta's and since we have one deal like that already a second longer one should not be a priority. With you on all points! MLBTR catch-up - 23 of their Top 50 FAs have signed. While I believe their predictions tend to run high, worth noting that they have always had Harper at 14 years/$420 million and Machado at 13 years/#390 million. To me the Phillies still have the best shot of making that kind of offer. I agree those numbers for Harper and Machado look high to me too. This one though looks way low to me: 7. Yusei Kikuchi, LHP (original prediction: six years, $42MM) I think He gets 6 years at a whole lot more than that. Somewhere north of the $60 million Darvish got from Texas, maybe even up to $80 million. 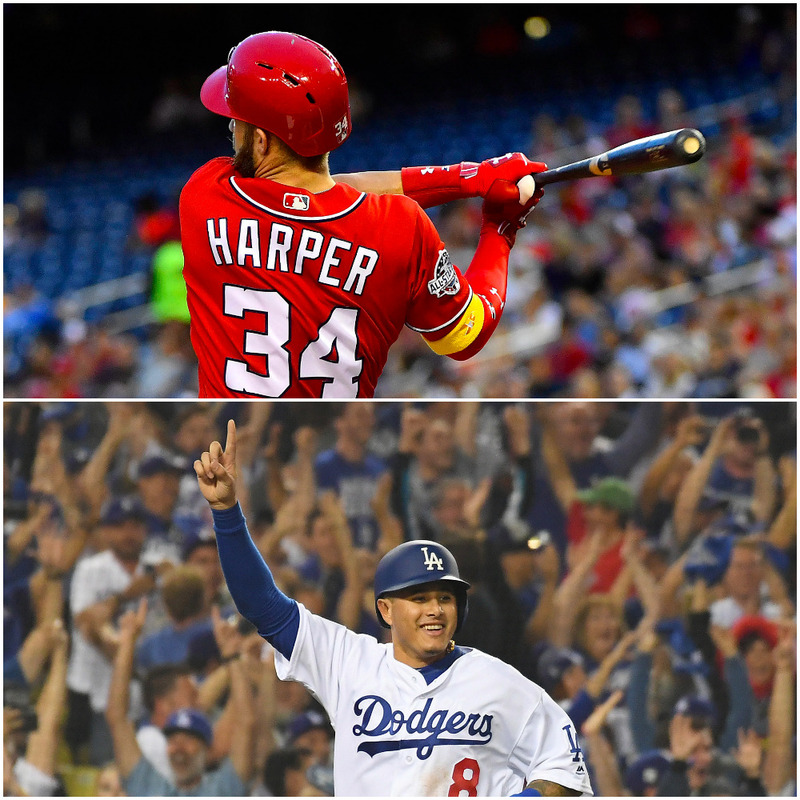 Harper at 14 years/$420 million and Machado at 13 years/#390 million. To me the Phillies still have the best shot of making that kind of offer. Though I would think the Phillies would offer a higher AAV than $30 million without as many years. The standards to beat are the total amount for Stanton ($325M) and the AAV for Grienke ($34.7M I think). While the market dictates - I think the Yankees can come up with $350 million in some way. We might do that for 8 or 9 years versus a longer deal for the Yankees (where the Yankees probably assume they could trade him by buying down the latter years). All of these rumors would be consistent with agent leaks to make Philly up their offer. I really don't think players are that negative on Philly. It is more agents thinking they can get another $50 million out of Philly. Whether this is an agent ploy or the market speaking should be clear in a week or two. I have to imagine one of the two big free agents will sign in the first half of January. That and Kikuchi should give a little momentum to the market. Kikuchi is not considered an ace though. If he signs a $49 million deal it still costs the team almost $60 million. Hard to know what teams might want really. A shorter higher AAV deal, or opt-outs, would seem more likely (especially given Boras). Given that there are both reports that the Dodgers and Yankees are not interested in paying mega-deals and that the players don't like Philly, I'd say those two things are related, yes. He doesn't need to be an ace. An ace is $35 mill per year, which Nola will be in a few years. 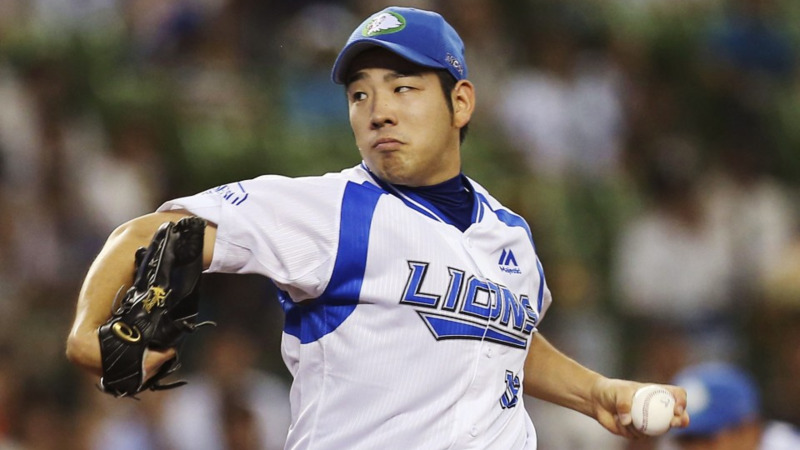 Look for Kikuchi to be a #2/3 pitcher from year to year and the necessary LHSP addition to the team. And, of supreme importance, it won't cost talent to land him. We have money. A little overpay is quite literally nothing for today's Phillies. I'm not saying he needs to be an ace but that's why MLBTR thinks he is worth about half as much as Keuchel (along with never really knowing how a Japanese pitcher will hold up in MLB, both physically and competitively). I would certainly hope the Phillies offer more if he is indeed only going to get around $50 million. I wonder if they would do something like 13 years/$350m...annual salary of $35m for years 1-4, $30m for years 4-8, $25m for years 9&10 and $15m years 10-12 and $10m in year 13 with opt outs at years 4 and 8 and mutual options for years 10-13 that brings the salary down several million if the player instead of the team picks it up. Brings down the AAV to $27m which is very manageable, the actual $$ will be pretty manageable if he gets hurt later in the contract. That would most likely guarantee that they would only be here for four seasons if they stay healthy and play at their current levels of production. But, I don't think I would have a problem with that. Opt-outs are certainly not a bad thing. Seems to me that of the three things that can happen - player leaves, player stays, team and player renegotiate to keep player from exercising opt-out - the first one is most rare. This topic was automatically closed after reaching the maximum limit of 1500 replies.